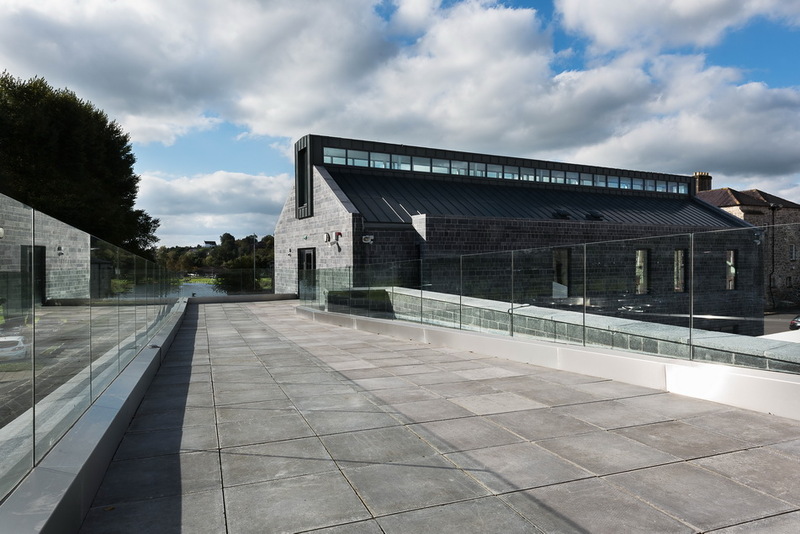 The principal material used for the external fa?ade of the new visitor centre and armoury building was Irish Blue Limestone (flamed finish and blue/grey in colour). 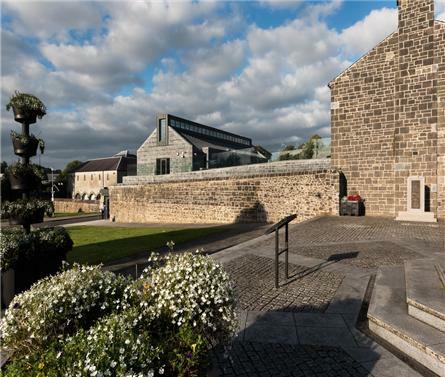 This limestone walling gives a light, textured finish and is built in random coursed and sized ashlar which follows the precedent of the other historic buildings within the complex. Enniskillen Castle, which dates from the 16th century, sits on the banks of the River Erne in the centre of the Co Fermanagh town in Northern Ireland. This scenic backdrop is the setting for a landmark redevelopment by Hamilton Architects which has transformed a myriad of historic buildings into a cohesive heritage Gateway to the County. The site holds historical significance due to its location on the river bank and its role in guarding one of the main passes into Ulster. 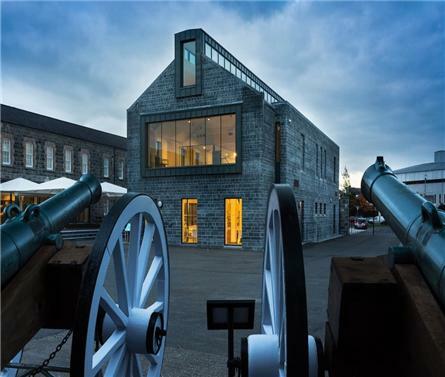 Over the centuries, its strategic importance has remained a pivotal factor, with the addition of various buildings as the site evolved from a garrison fort into a military barracks and, more recently, into a Heritage Centre. 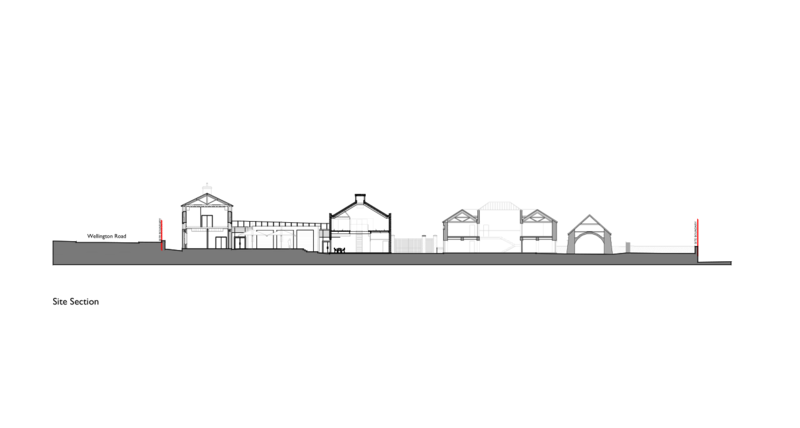 Several significant components define the historical assemblage, including The Keep, Watergate, Curved Range, Magazine, Shift House, Northern Barrack Block, Barrack Coach House. 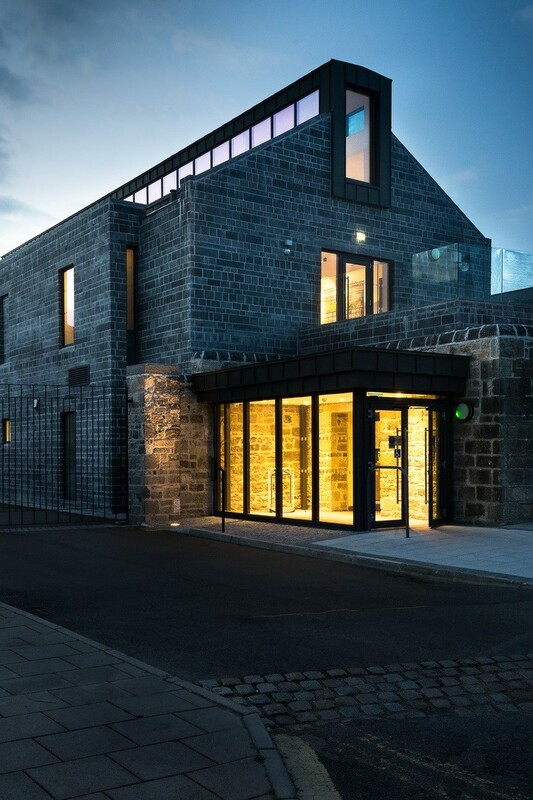 The Health Centre and Heritage Centre were much more recent additions. The site is encompassed by a perimeter wall enclosing the Castle Yard and a Rifle Range. 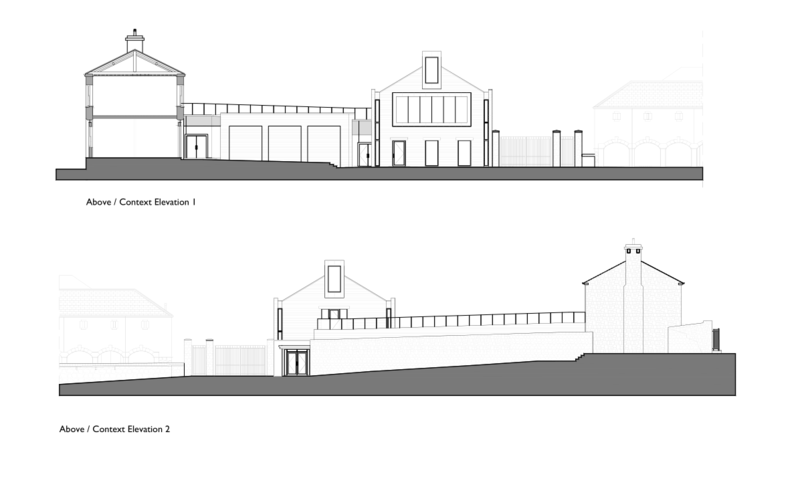 The Keep and Watergate are monuments in State Care, while the Curved Range and the Northern Barrack Block are Listed buildings. 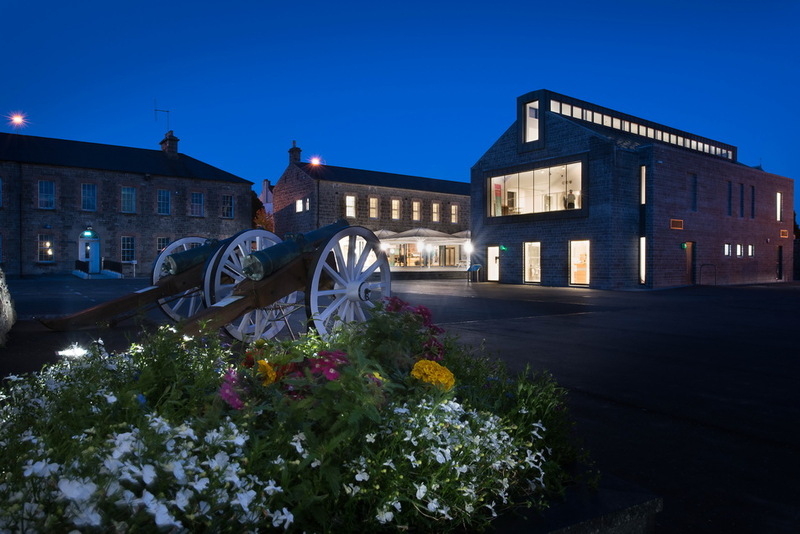 The redevelopment has revealed the significance of the site from a historical, operation and audience perspective, enabling Fermanagh County Museum to increase access to collections of local, national and international importance and to become the first port of call for learning about the county’s heritage from the Drumclay Crannog to the G8 Summit. Four buildings within the complex – Magazine, Shift House, Barrack Coach House and Heritage Centre - were restored and refurbished to pool museum, tourism and genealogy resources and create new visitor spaces. 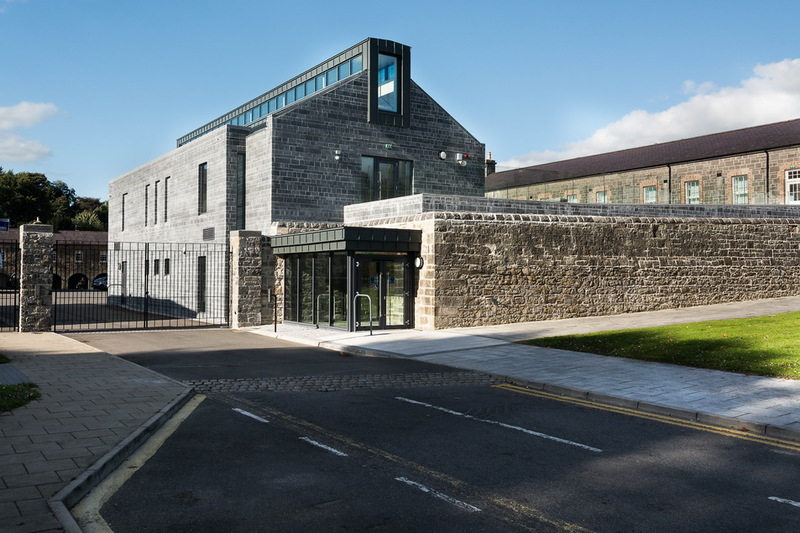 The Health Centre was demolished to create space for a new Visitors Centre with History Hub, Genealogy Centre, Castle Viewing area, Café and Shop. The refurbishment of the Barrack Coach House accommodates four new galleries, while a link building between the Visitors Centre and Barrack Coach House allows visitors glimpses of the original castle wall. 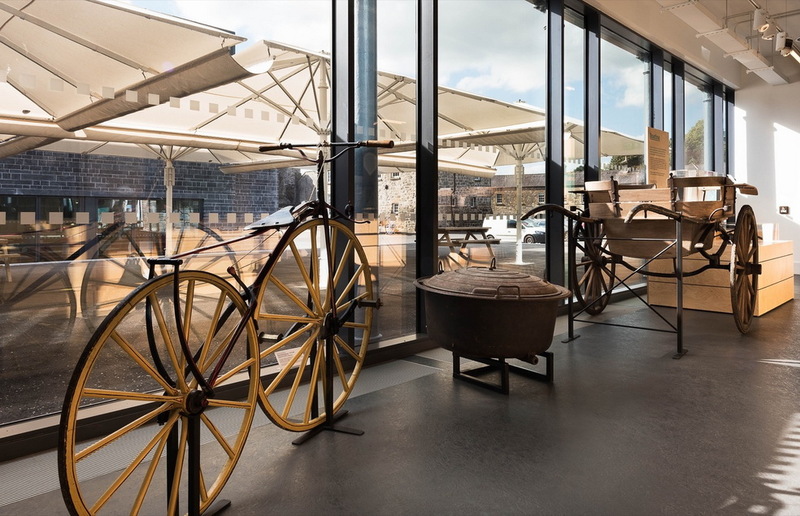 A walkway on the roof of the link building offers views of the castle site and of Enniskillen town. 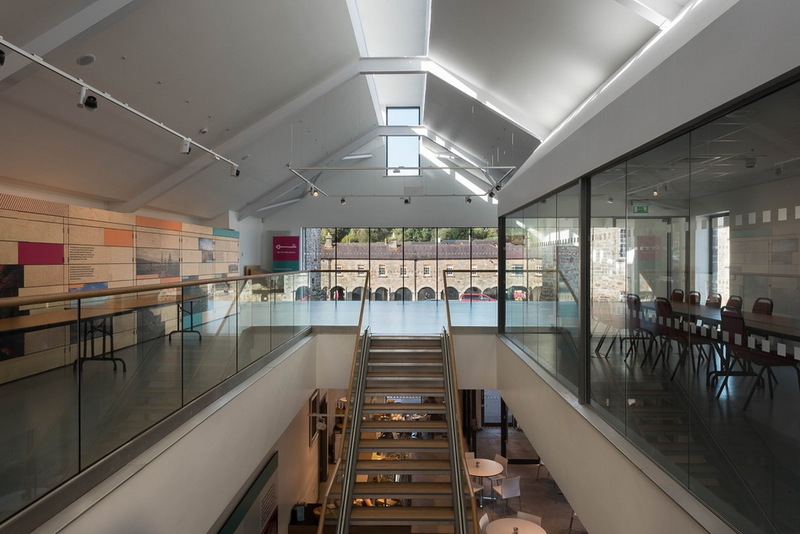 The design was challenging in that guidelines for the historic footprint had to be met while providing facilities appropriate to the needs of a modern museum and visitor facility. 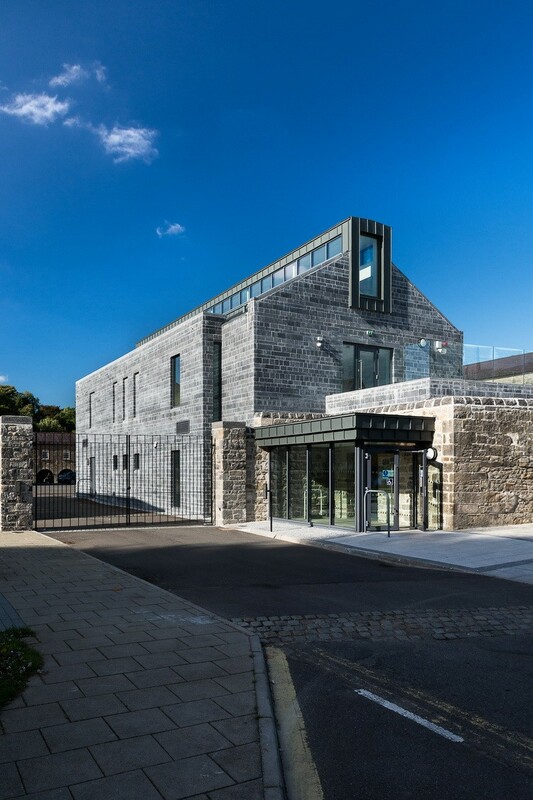 The external envelope was clad with Irish blue (flamed finish) limestone to complement the original fabric of the adjacent historic buildings. An exterior courtyard populated with giant umbrellas provides an attractive and flexible all-weather event space.